The Babinski Reflex is important in order to prepare the infant’s feet for crawling, standing balance and mature walking. This reflex also influences the legs, hips and lumbar spine. It is very important for coordinating muscle tone of the lower part of the body, especially the back of the legs, and has a direct influence on developing stability, balance, and grounding. In children, a retained Babinski reflex can also result in poor coordination of fine and gross motor activities. Since the Babinski affects hip flexibility, there can also be a relationship with the jaw mechanism which can affect speech and language development. 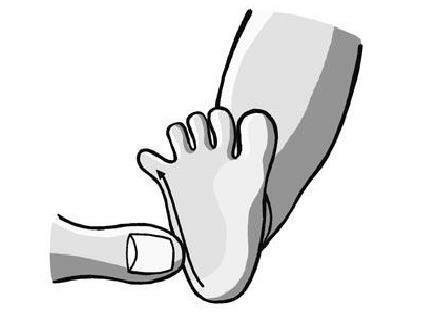 When the Babinski reflex is stimulated in the manner shown above, the toes will splay, the foot will jerk, or the person will feel discomfort or ticklish if it is still active.